A new, elevated way to experience cannabis. 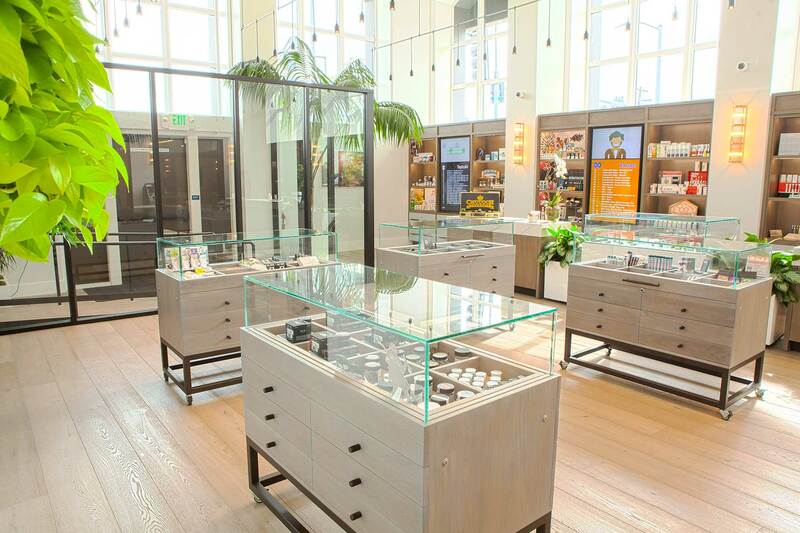 Atrium proudly serves the Woodland Hills, Tarzana, Canoga Park, Calabasas, Hidden Hills, Thousand Oaks and Malibu communities with the world’s finest cannabis products. Whether you are a seasoned cannabis connoisseur or a canna-curious newbie, we can help you find the right product to enhance and improve your life. The Atrium team is committed to delivering exceptional customer service and going above and beyond to please our customers. We encourage you to come in and speak with our friendly and knowledgeable staff to find out what form of cannabis best suits your needs. We have sourced the finest cannabis products in the world. Visit our online shop or come into the store to learn more about our exceptional collection of flowers, vaporizers, edibles, pre-rolls, concentrates, topicals, tinctures, and accessories. In the coming months we will also be launching the Atrium Apothecary, where we will be providing an exciting array of CBD-infused beauty and wellness products. From bath bombs, to luxurious creams, oils, lotions, and more – the Atrium Apothecary will be certain to help you unwind and relax after a hard week. The mindful consumption of cannabis can elevate a variety of environments and experiences. It can also foster a sense of community and connection. Click through to see a list of local events that Atrium is supporting, as well as our exciting schedule of in-store CAD’s (Customer Appreciation Days).